As everyone knows, penguins are fond of fish. 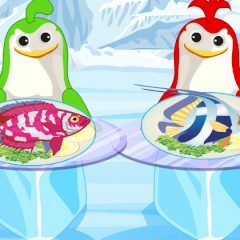 One smart penguin decided to start his business by opening a food club for penguins. He can not manage everything by himself that is why he hired you. Serve the customers, do it fast and do not confuse anything!